Zoe Donovan meets Lani Pope in a double crossover event. 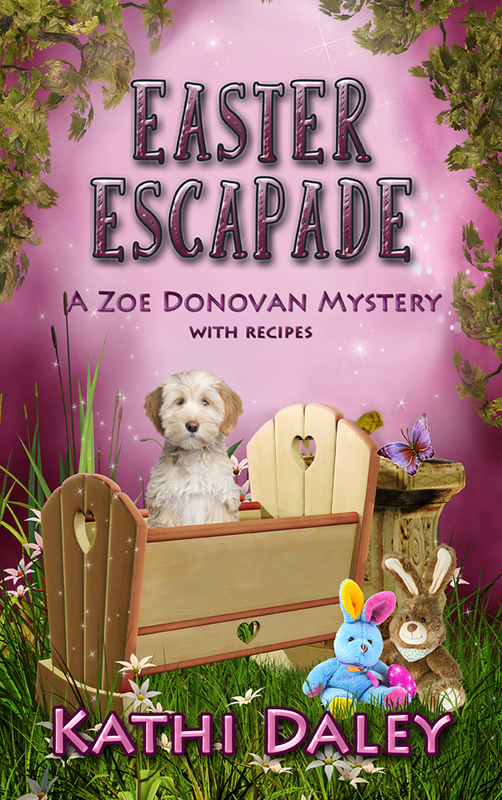 Many of you know that I plan to introduce Zoe, from the Zoe Donovan Cozy Mystery Series, and Lani, from the Sand and Sea Hawaiian Mystery Series, in Easter Escapade, Zoe Donovan # 24 which publishes April 21st. 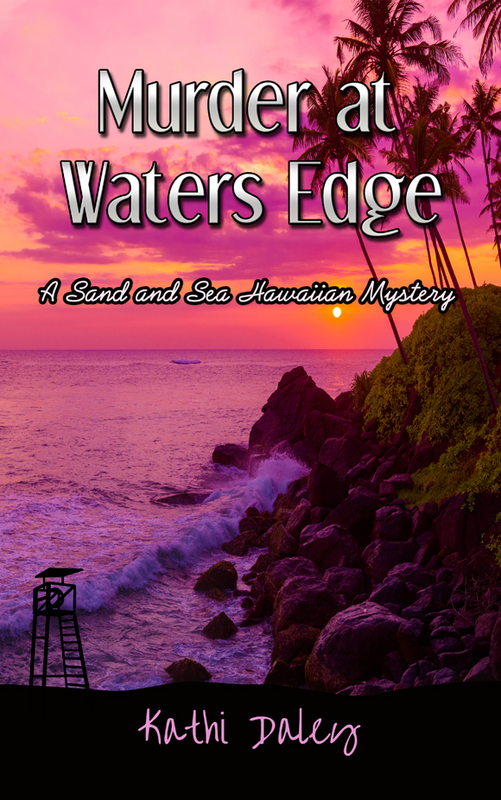 What you don’t yet know is that I plan to continue with the crossover and have Zak and Zoe visit Maui for book 6 in the Sand and Sea Series, Murder at Water’s Edge, which will publish on May 22. Below are the synopsis for each book. 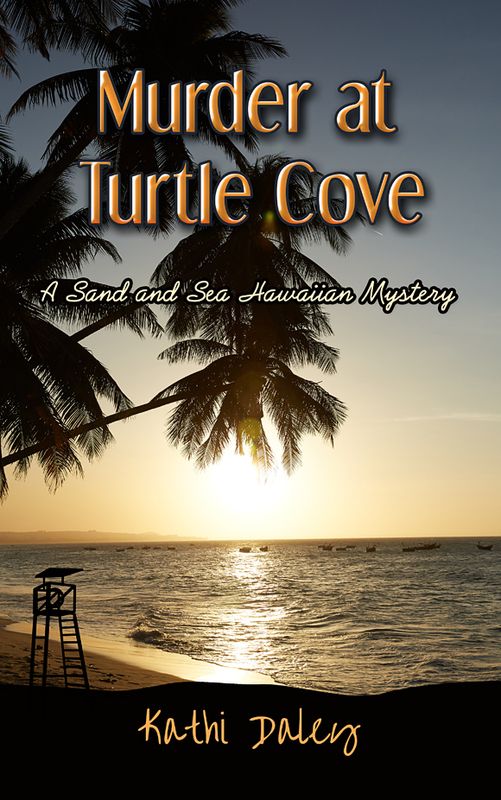 In book 24 in the popular Zoe Donovan Series, Zak and Zoe join forces with Hawaiian visitors Luke Austin and Lani Pope, to find out who killed a historian visiting Ashton Falls. Early one morning Zoe takes the dogs out for a walk and finds a woman, Lani, towing a body toward the shore from several hundred yards off the beach. She jumps in to help her only to find that the victim is already dead. Zoe recognizes the victim as Charles Wentworth, a friend of Zoe’s friend Ethan Carlton. Charles is in Ashton Falls to find a treasure left to his grandfather, Xavier Wentworth, while he was visiting Devil’s Den a hundred years earlier. The treasure included items owned by Tsar Nicolas Romanov of Russia and smuggled out of the country by Peter Romanov as Word War 1 was winding up. The deeper they dig the more Zoe and Lani begin to realize there may be more going on than meets the eye. Meanwhile, Ellie and Levi move in with Zak and Zoe while the boathouse is being renovated and Alex helps Ellie prepare the nursery for baby Eli who is due to be born any day. Throw in some humor and Easter fun and you have a Zak and Zoe crossover mystery. Luana Akina, a good friend of Lani’s, calls and informs her that her sister Mailie has been killed in an auto accident. The accident was determined to be just that, an accident, but Luana isn’t so sure that is the case. It seems that prior to her accident Mailie was involved in a local contest (an Amazing Race type event) with a grand prize of $25,000. She suspected the results were being tampered with so had been quietly snooping around. The night before her accident Mailie called Luana and told her she was close to something that would expose a huge coverup. The next day she was dead. Luana knows that Lani likes to investigate homicides so she asks for her help in uncovering the truth about what really happened to Mailie. The contest, which involves unlocking clues which lead to locations around the island where the next clue can be found, has a clause which allows for a substitute to be named should one of the contestants be unable to finish. Lani decides that the best way to help Luana find out what happened to her sister is to enter the contest as Mailie’s replacement. This will allow her, she reasons, to find out what is going on from the inside. Lani takes two weeks off work from her job as a water safety officer and then travels to Maui with her boyfriend Luke Austin. Once Lani gets a feel for the game she quickly realizes that someone has hacked into the computer system and is tampering with the results. Luke is good on the computer but not nearly as good as legendary computer genius Zak Zimmerman, so Lani calls new friend Zoe Donovan-Zimmerman and asks if she and Zak would be willing to come to Maui and help them uncover the conspiracy behind the mystery. Join Luke and Lani, Zak and Zoe, as they race to uncover the clues faster than anyone else while outwitting a hacker and identifying a killer. I know that some of you haven’t had a chance to read the Sand and Sea Series yet and I want you all to have the opportunity to do so before Murder at Water’s Edge comes out, so the first four books in the series will be on sale for $.99 this month according to the following schedule. I really like this idea- it will be fun to see Zoe and Lani in the same book! I’d like to see Alyson in a crossover story with either Lani or Cait! Since I am a Whales and Tails fan, it has to be Cait and Zoe. Throw in the cat rescue, perfect! The crossover sounds fun, I can’t wait. I could see Zak and Zoe vacationing on Madrona Island for a quiet getaway, which of course it’s anything but quiet there, LOL. 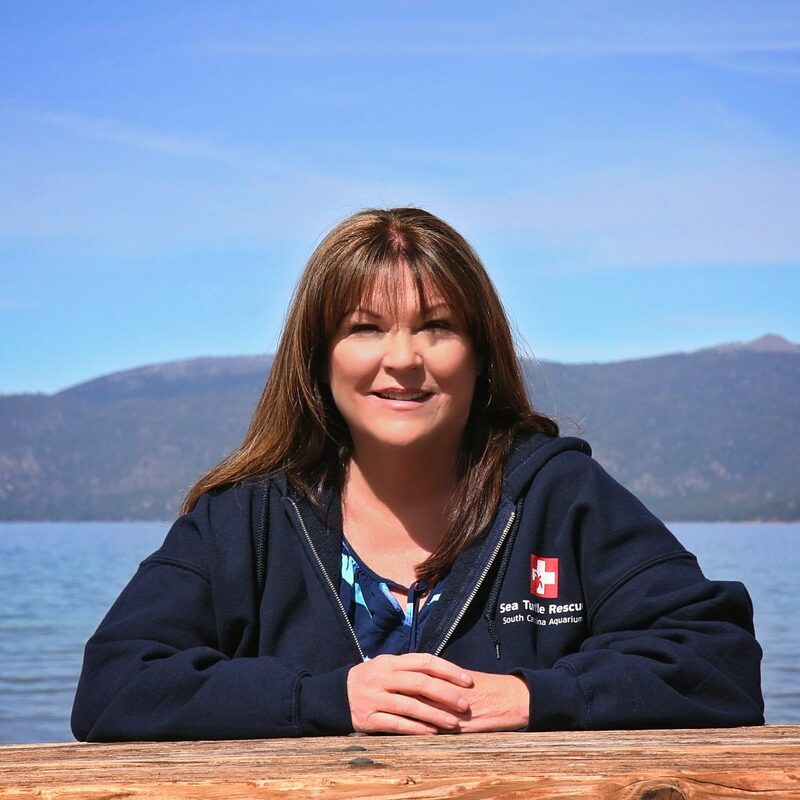 I love your ideas, Kathi! I’d like to see Cait and Alyson in a crossover story since Oregon is just hop and a skip from Madrona Island. I would love to read more about Alyson. I think she would get along great with Lani. All of the crossovers sound great! I love a good crossover it gives you a totally new perspective on the characters and how they interact with new people. I love the Zoe books and have been spending my time reading those after the TJ series so I haven’t read Sand and Sea Series but look forward to meeting the characters. I hope to get to that series next. Lucky duck on going to Maui. it is on my bucket list. Love the idea and I think Cait and Alyson would be good together! This sounds AWESOME!!! I can’t wait to read them. I think it would be great for Cait and Cody to go to Hawaii and have a sleuthing adventure with Lani and Luke. I also want to say I Love the book covers, you always have the best covers. I like the crossover idea and i guess since i haven;t read them all yet i shouldn;t vote but from all of them that i have read i would vote for Zoe and another going on a relaxing vaca in Hawaii i am not sure of the other and would leave to the ones that have read all of the books, When i have read all of the print books i will get back on this one but it might be too late as fast as you write. Just like Danielle Steele speedy writing and publishing of books! I love crossovers and I love your books! I think Cait and Alyson should meet. Sounds really interesting! They can have fun and maybe encourage each other in their unique means of solving the mysteries! I do agree that Cait and Zoe need to meet in some sort of exciting cat rescue, as Whales and Tails is my favorite series of yours. At least until the newest series comes out. I really like the idea of a crossover for your characters. I would pick my favorites as Cait and Lani. I would love to see one of Cait and her magical cats popping up in Hawaii joining Lani. Are there any Hawaiian mythologies about ‘cats’ that could be added to the story? Fun! Can’t wait to read these books. Now I am behind for sure. Lol. I haven’t read any Seacliff High so I will stick with what I got at the moment. Zoe AND Cait again might work, but I am leaving it to you because I am still playing catch up on all the series. Thanks again. I love the double crossover events between Zoe/Lani and Zoe/Zak and Lani/Luke! I’d like to see a crossover with Zoe/Zak visiting Cait/Cody. Alyson & Cait would be a great team & give Alyson’s series a boost & maybe another book! Love this! Can’t wait to read the crossover books! Since Cait is my favorite, and the girls are near each other, how about Cait and Alyson. Sounds like a great team to me! Would love to see it happen! I love Cait and Cody and I think that Cody has business in Hawaii with Luke and of course that means Lani too. Actually I think you could put any of them together and they’d have fun and would solve a murder. I can visualize Cait and Lani (including their male companions). 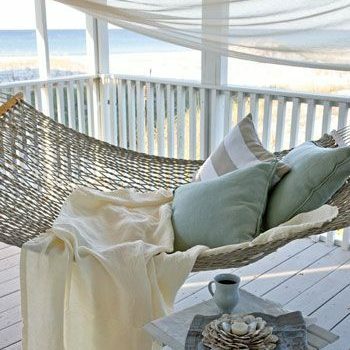 Incorporate the beauty of the islands and add some magical mystery. You could create quite the adventure. I would love to see Cait and Alyson meet. And I think there’s more story to be told involving Alyson and her mom (and the bad guys looking for them).